Come and enjoy a rare performance of the crwth, the Welsh bowed lyre. 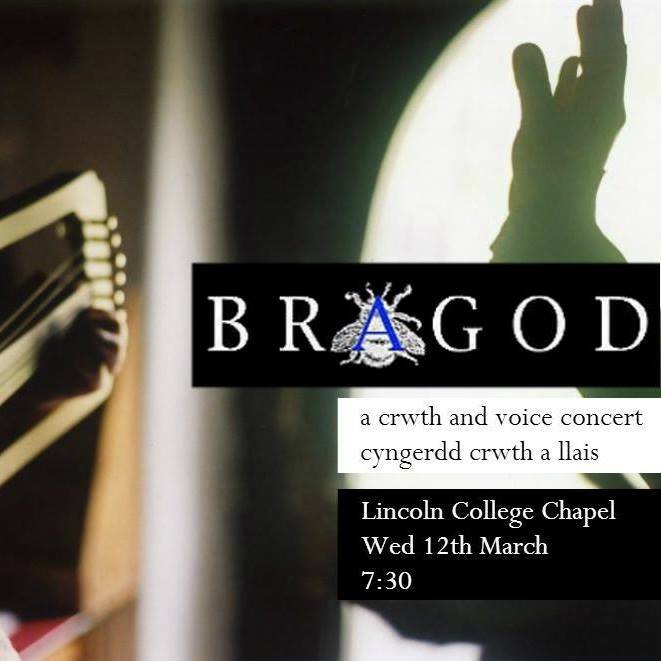 Bragod will be performing cerdd dant and other Welsh music for a very special Lincoln concert. This entry was posted in BardicPerformance, Bowed lyre, Crwth, Dafydd ap gwilym, Events, King Arthur, Medieval, Welsh Poetry and tagged Lincoln College Chapel Lincoln College, rare performance. Bookmark the permalink.